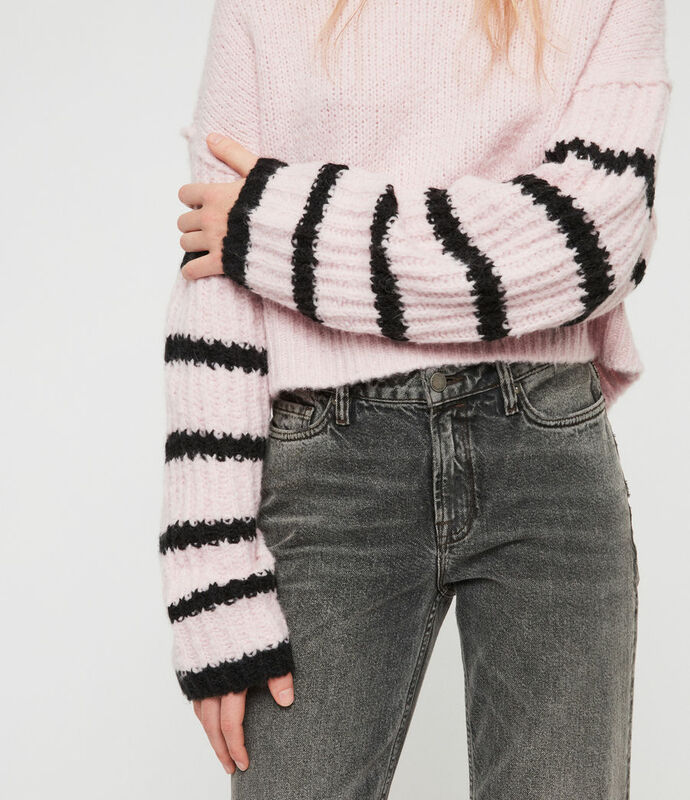 Classic sweater, stand-out sleeves. 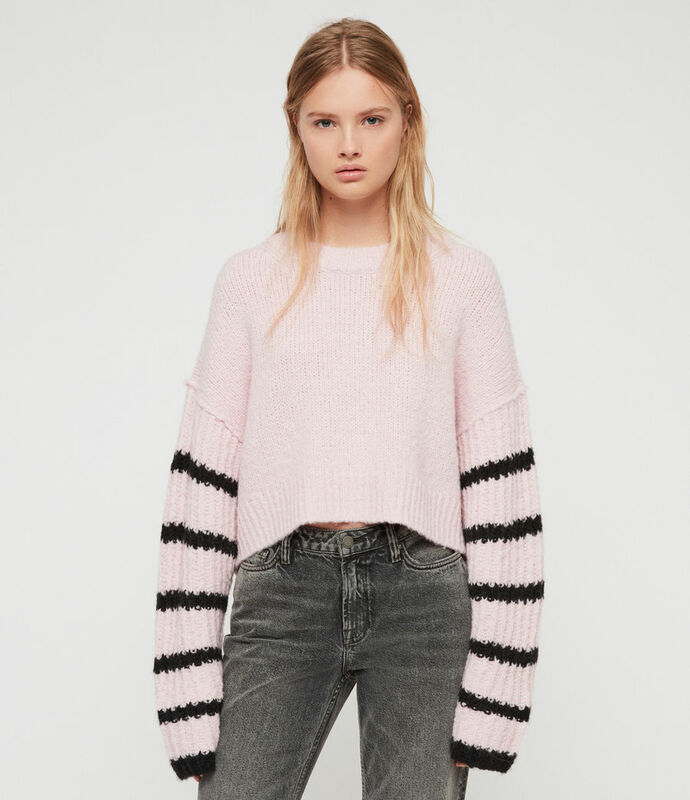 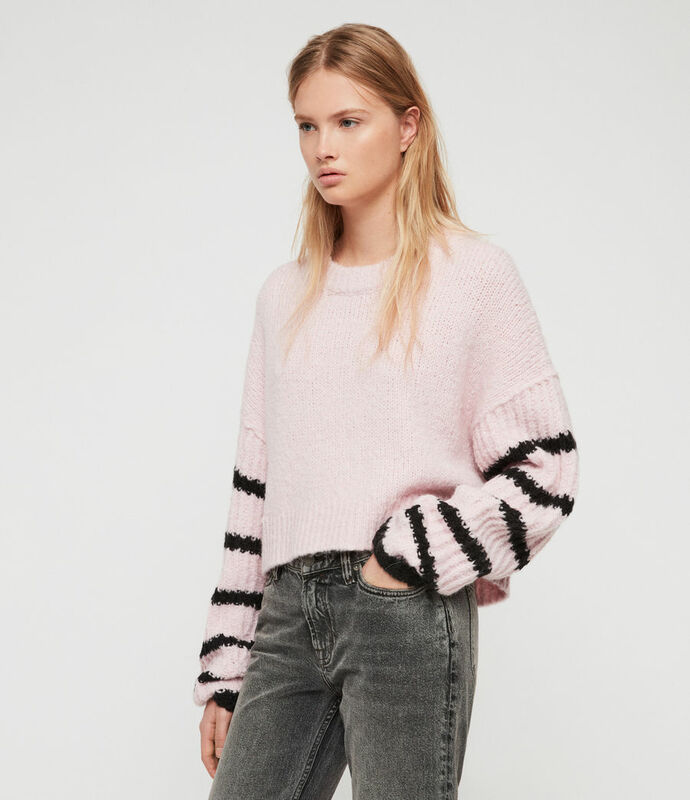 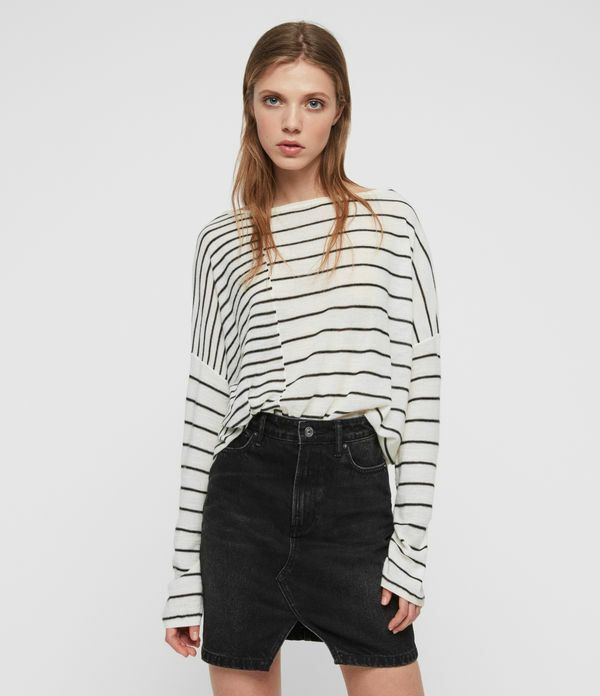 The Eldon Cropped Sweater features black striped sleeves against a baby pink backdrop. 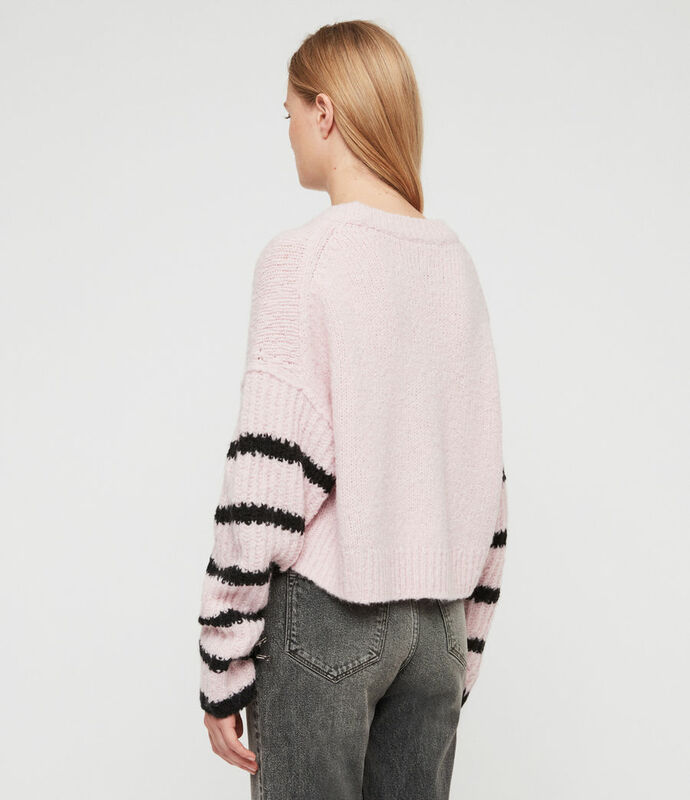 Relaxed dropped arm holes complement the cropped silhouette. 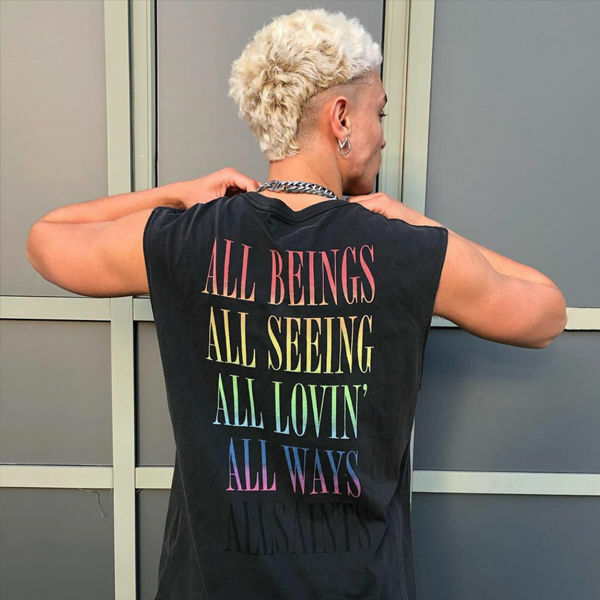 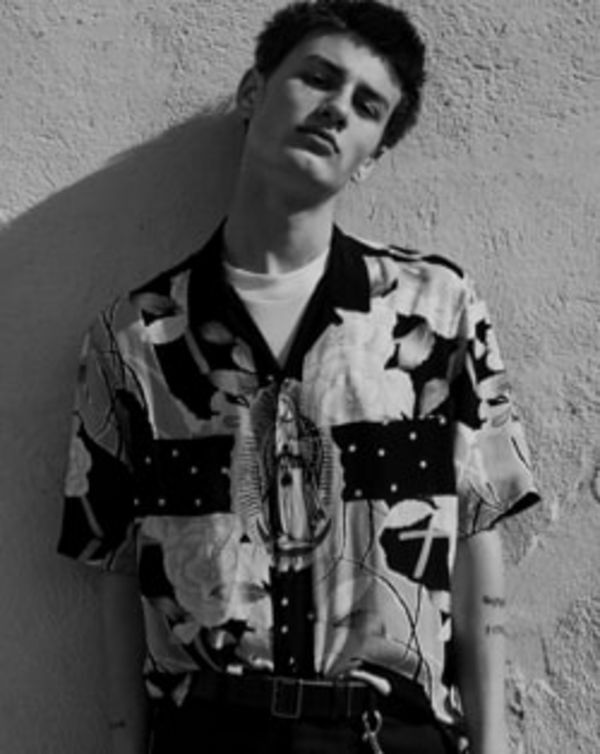 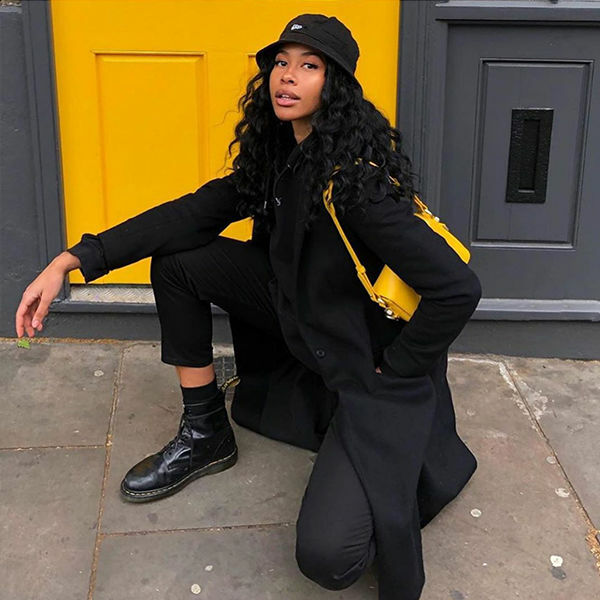 Model is 5'9.5" / 176cm and wearing a size Medium.